Gulf Coast Maker & Comic Con Event Program Now Available! Our full event program is now online. 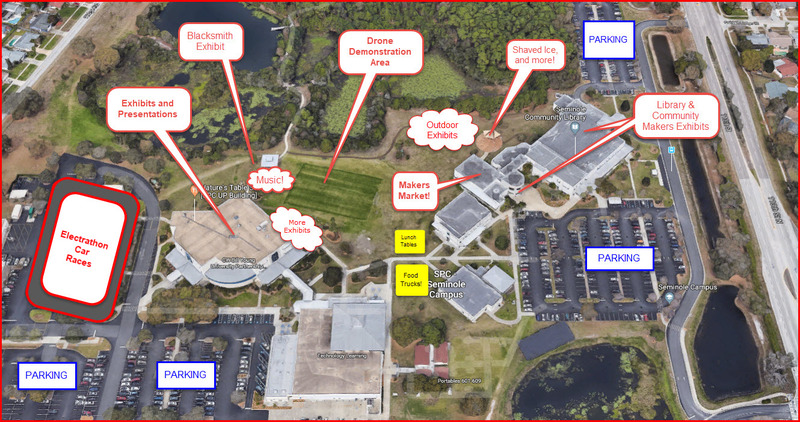 Check out all the great things there are to see and do Gulf Coast Maker & Comic Con 2018, March 24 from 10am to 5pm at St. Petersburg College- Seminole Campus! We’re happy to welcome Blossoms of the Heart to Gulf Coast Maker & Comic Con 2018 this year. Artist Christine Samad tells us more about her work and what she’ll be bringing to Saturday’s event. Matt Sherman is a big fan of James Bond, so much so that he runs Bond Fan Events, and also makes related props and costumes. Check out his story and see what he’s bringing to Gulf Coast Maker & Comic Con 2018! We’re happy to be joined by the one and only Geek nation eatery and tavern in Tampa Bay: Waypoint 6, owned and operated by Kevin Daniels. Kevin will be sharing his insights as one of our GCMCC Presenters at 11 am in UP 158, in his Burgers and Blades: Nerds in business talk . We asked Kevin to tell us a bit more about what he does and why. 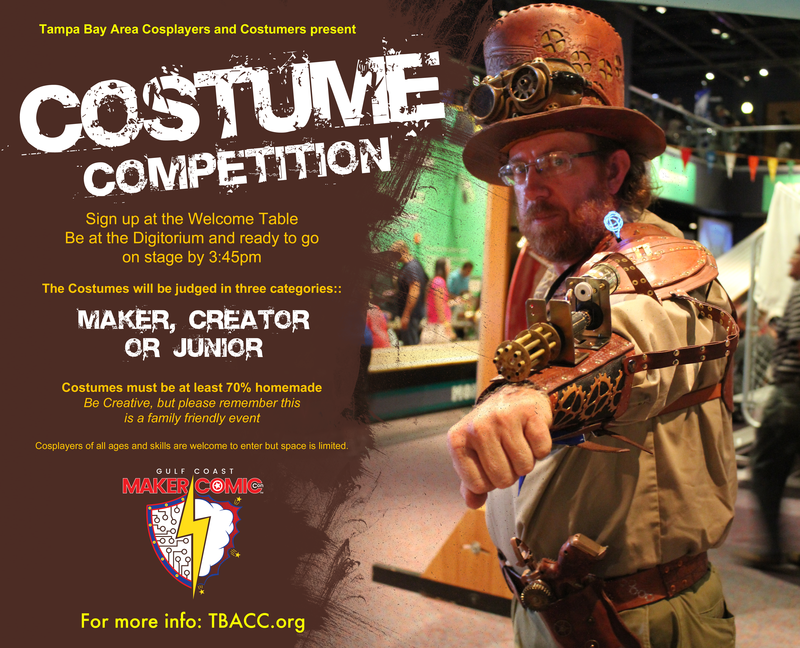 Tampa Bay Area Cosplayers and Costumers will be hosting the Gulf Coast Maker & Comic Con Costume Competition at 4pm at the St. Petersburg College-Seminole Campus Digitorium! All Cosplayers of all ages and skills are welcome to enter but space is limited. Get your registration form at the welcome table on Saturday, or download it here and bring the completed form with you when you arrive. All entrants should be at the Digitorium and ready to go on stage at 3:45pm. Read on for details!